Like most university students, I often fall victim to the sweet lure of low-effort, high-calorie fast food. Frozen pizza, microwavable lasagna or ready-made tikka masala? Count me in! As much as I’d like to pretend otherwise, most days I’d rather get my head stuck in a greasy bucket of chicken wings than spend half my evening making an elaborate Portobello mushroom quiche. But don’t let that fool you – the only thing I love more than eating is eating well. In London where I currently live there is no shortage of amazing farmer’s markets, but there really is one to rule them all… Borough Market! Whether you’re after a lazy stroll through fields of plump tomatoes and fragrant herbs or a quick culinary journey around the world, this is the place to go. 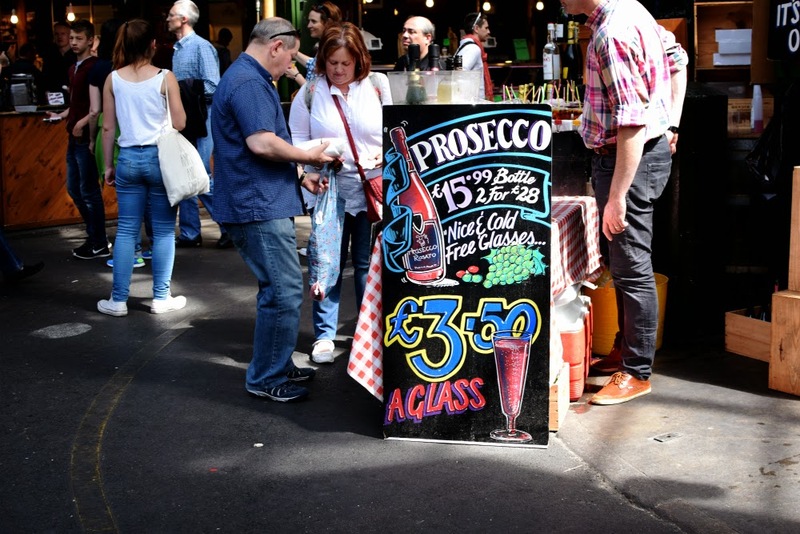 This is my little guide to Borough Market and all the stalls you can find there, including my time-tested favourites. Let’s kick off with a tall glass of French champagne, shall we? Or perhaps you’d prefer a cup of sangria? Either way, Borough Market’s got you covered. My personal favourite is a little stall called Utobeer, which – lo and behold – sells beers from all over the world. They currently have around 700 different kinds on display – trust me, I counted myself. 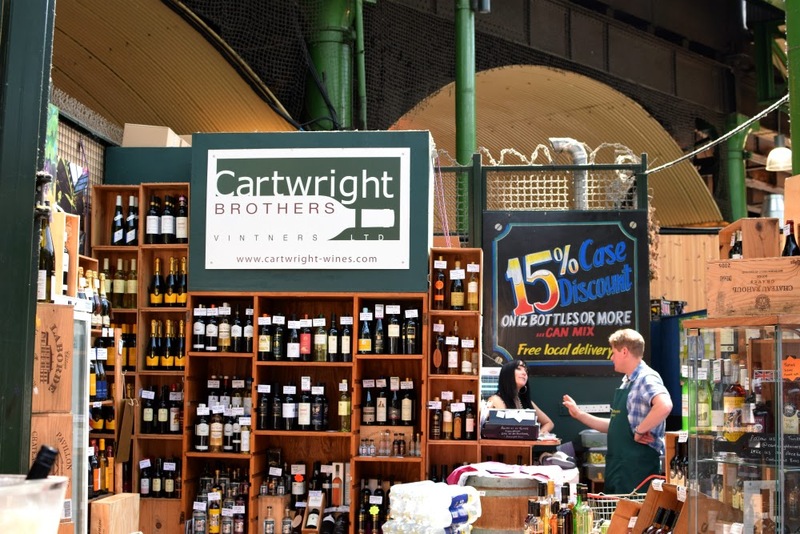 Pictured above is Cartwright Bros., another great place with a wide selection of French and Italian wines. Whenever I’m feeling down, I like to have a little wine and cheese (more like whine and cheese, really) evening with my friends. We put on a TV show we pretend to hate but secretly love – The Bachelorette being my favourite… I mean, least favourite – and vent. 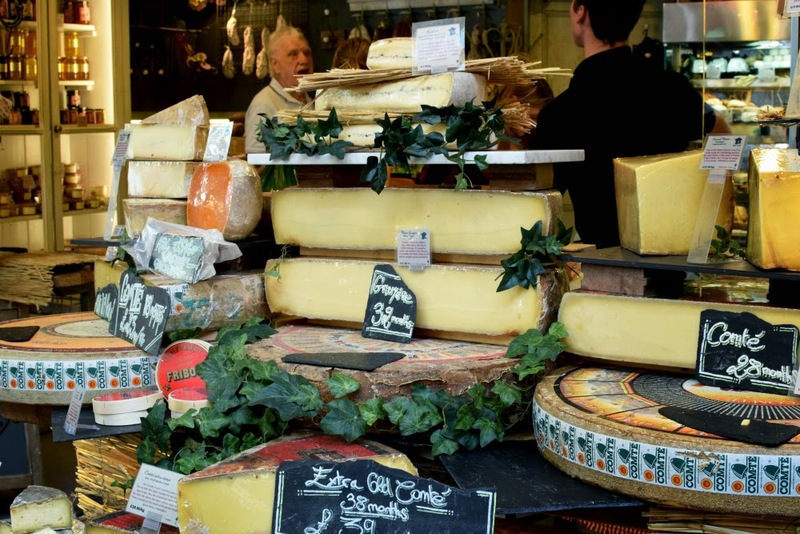 I often just pop down to Marks&Spencer’s for some discounted French fare, but Borough Market has the most incredible cheeses on offer. 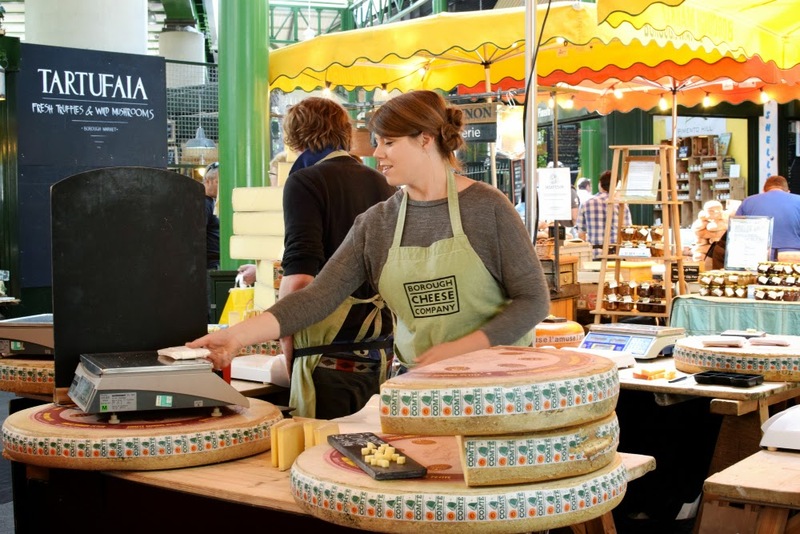 If you’re only going to try one, it’s got to be the aged comté from Borough Cheese Company. 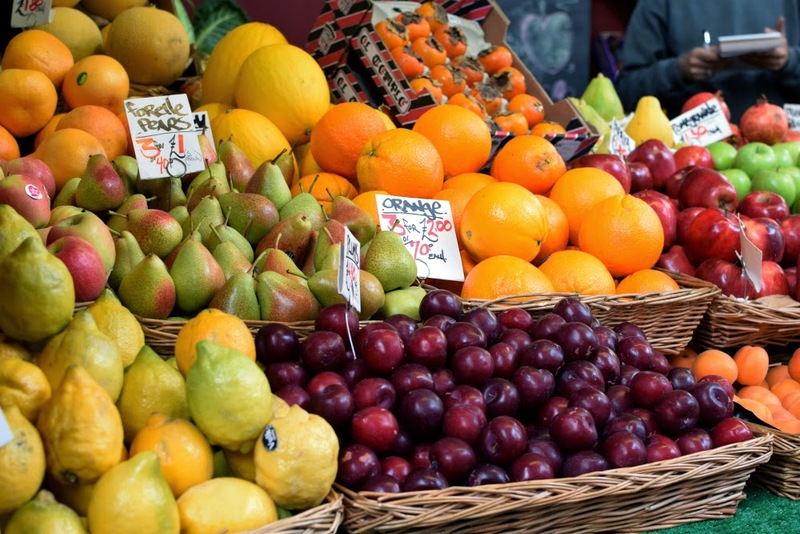 I love fresh fruit and vegetables, but getting your hands on some less traditional kinds can be surprisingly difficult. 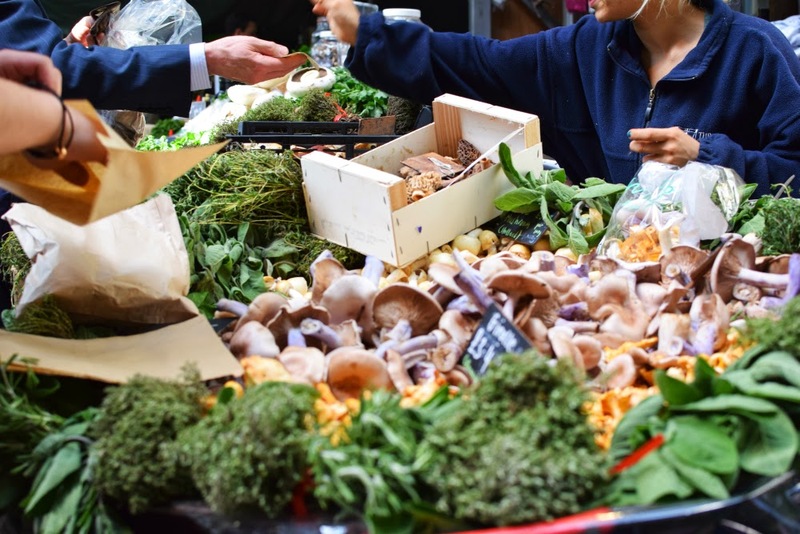 At Borough Market, you can buy all those weird health foods that people go crazy over before moving on to the next one and forgetting about them altogether. Goji berries and chia seeds, this one’s for you. 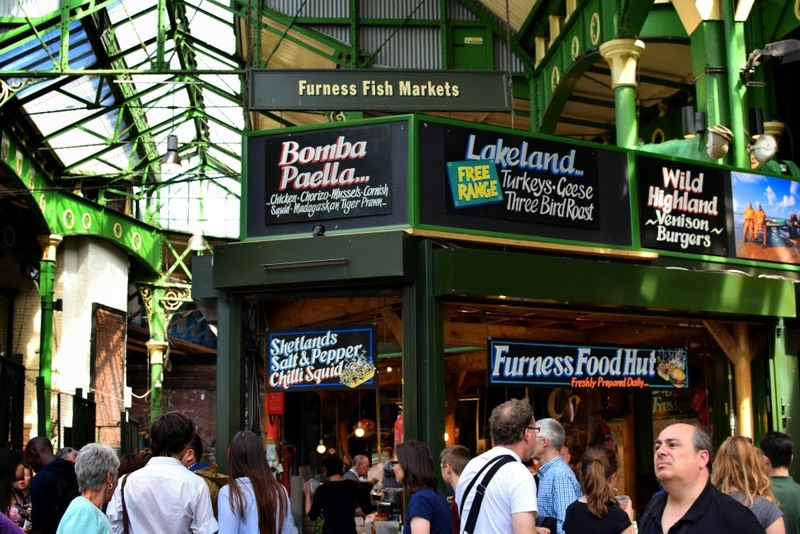 Battling the crowds at Borough Market can get a little exhausting and, besides, you should never shop for food on an empty stomach. Seriously – last time I did, I ended up buying two kilos of mouldy cheese! Luckily, there are a great many stalls serving delicious hot food in the area. 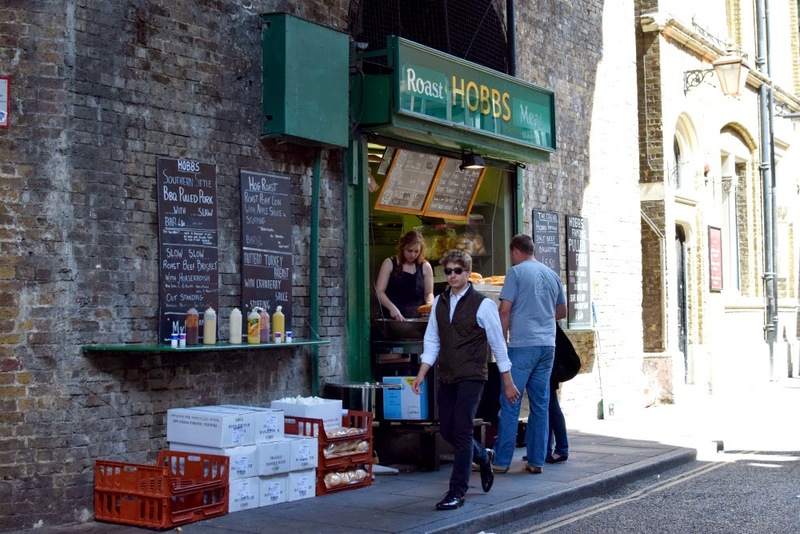 You can hardly go wrong here, but let me throw a few ideas your way: how about an ostrich burger from The Exotic Meat Company, roast pork with stuffing from Hobbs Meat Roast and some oysters from Richard Haward’s Oyster? I’m a huge seafood enthusiast – unless we’re talking sushi I’m not crazy about fish, but give me a plate of mussels and I’ll be a happy clam. Sorry, I love bad puns too much for my own good. 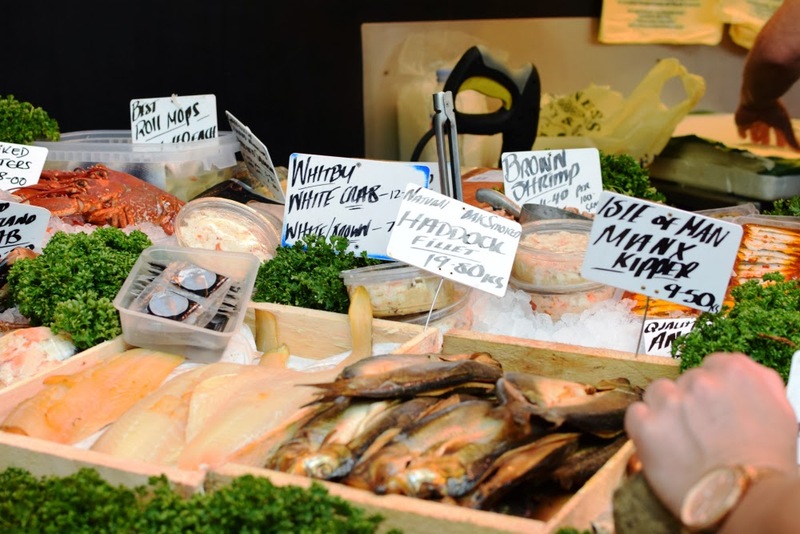 With anything from Scottish trout to Norwegian smoked salmon on offer, Borough Market makes me feel like a fish in the sea. I’m sorry, I couldn’t help myself! 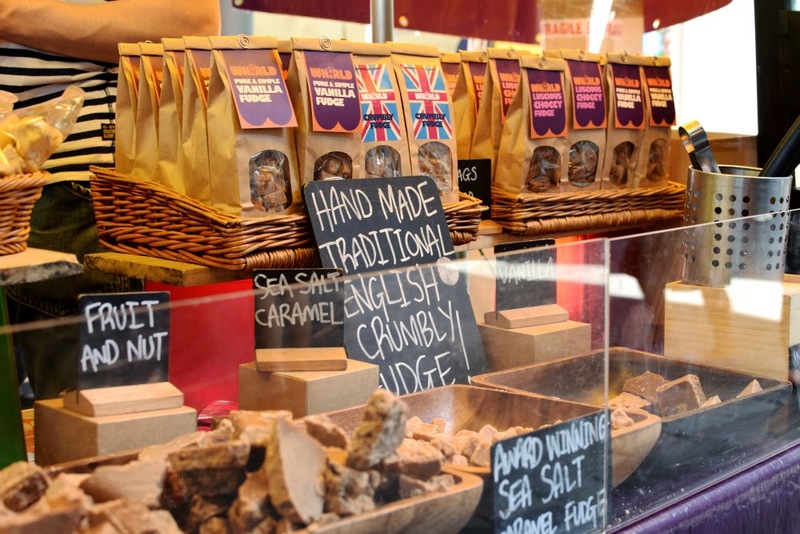 Borough Market is the perfect place to get your hands on traditional English fudge and a scone or two, but you can also score many international sweets. How about some rose-infused candy from The Turkish Deli or a few colourful meringues from Comptoir Gourmand? I’m addicted to tea the same way most people seem to be addicted to coffee these days. But in England, tea is usually synonymous with traditional English breakfast which isn’t exactly my cuppa. I know, I know, when will these awful puns stop? For me, nothing beats buying a little bag of loose tea leaves and making a proper occasion of it. 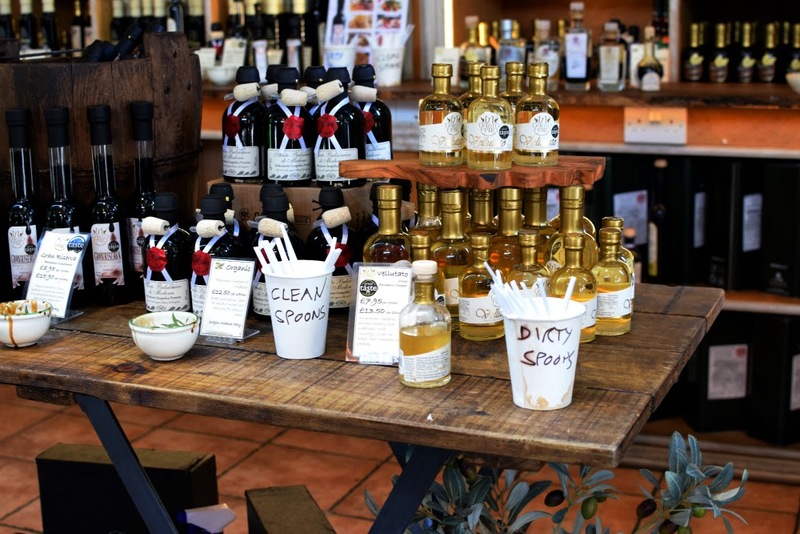 Borough Market’s got just what I need – with a wide selection fancy oils and aged vinegars to boot. 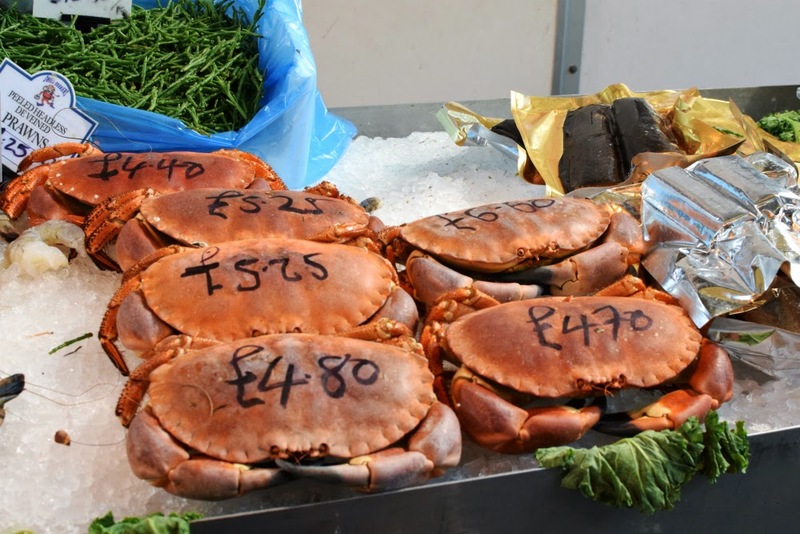 The full market is only available from Wednesday to Sunday at 10am-5pm, so make sure you go down on one of those days. It’s usually best to go really early in the day to dodge the crowds, but I prefer to go around closing time – vendors usually try to sell their leftovers at incredibly low prices and some even give them away for free if you’re nice enough. 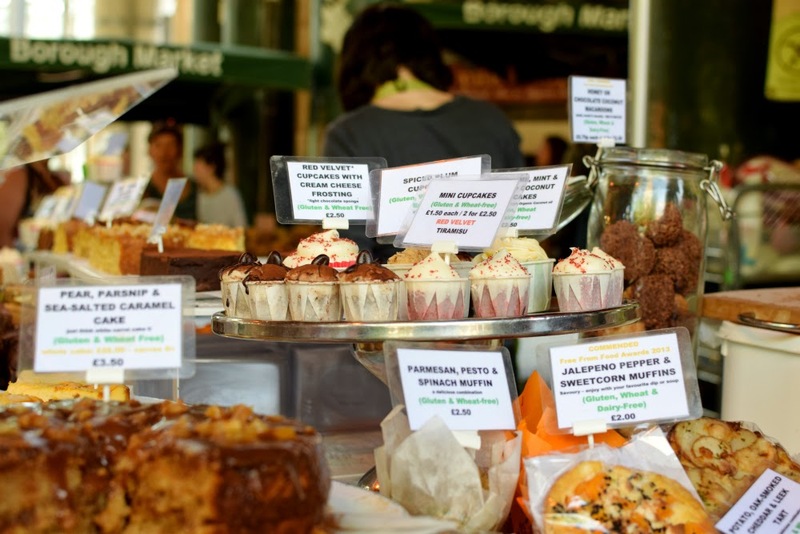 Have you ever been to Borough Market? Which stall was your favourite? 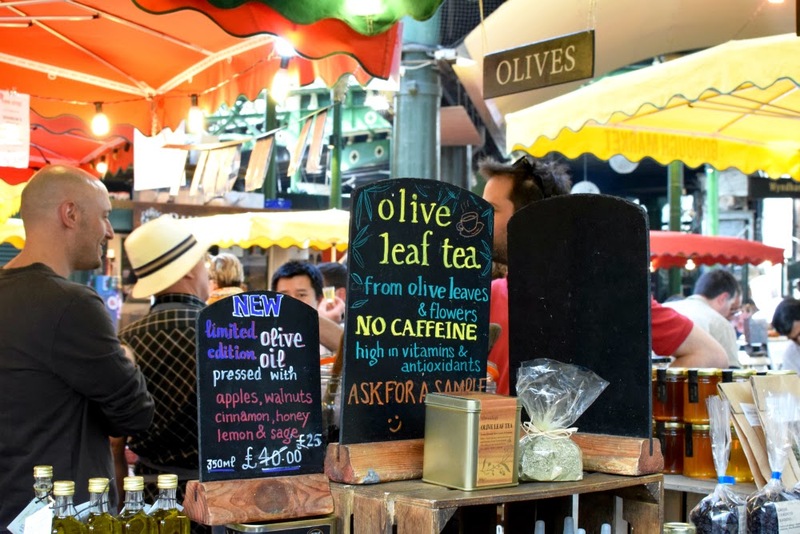 Do you have a favourite food market in London? Borough Market is great. I went there a few times during my year in London. Sooo yummy! Oh how I love Borough Market ! It’s incredible if only my stomach was big enough to sample everything at one go !